Over the last few weeks I have discovered a bunch of new brands, one of them being the Australian-based Eye of Horus Cosmetics. 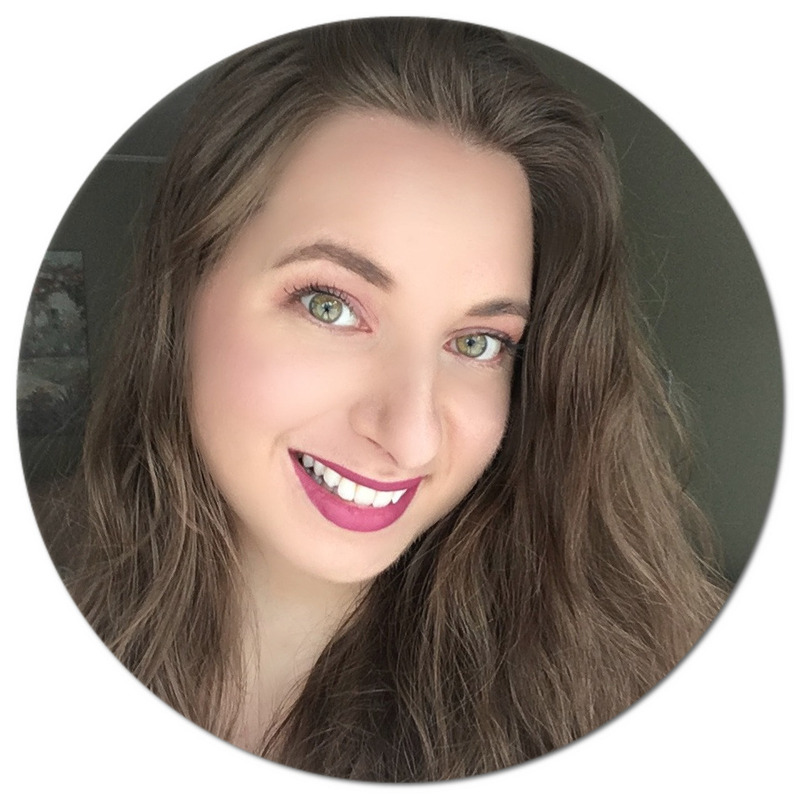 I first heard of this eye-focused makeup line through Tashina of Logical Harmony - her blog is one of my favourites as she always has the best recommendations when it come to vegan and cruelty-free beauty products. When I saw that she was holding a giveaway to win one of their gorgeous eye palettes, I couldn't resist entering and luck just happened to be on my side! 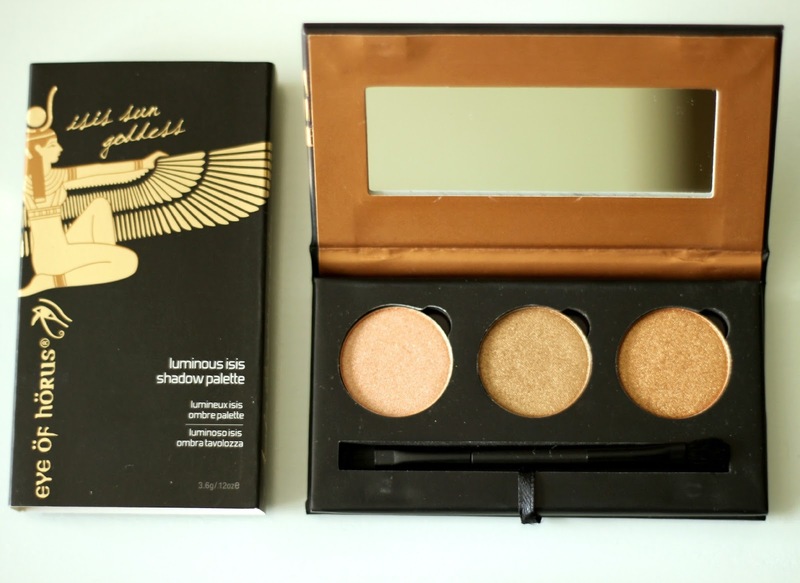 I received the Isis Sun Goddess Palette and it has quickly become my new go-to. This eye shadow trio includes Enigma Myst, a shimmery peachy pink, Chalice Bronze (the name gives it away) and Sacred Husk, a shade somewhere between copper and bronze. The magnetic, Egyptian inspired packaging is really lovely. It comes with a mirror and a double ended mini eye shadow brush (one shader and one angled). All shadows pack on with ease and without any fallout. They actually remind me of the Wet n Wild eye shadows, a formula I am very fond of. 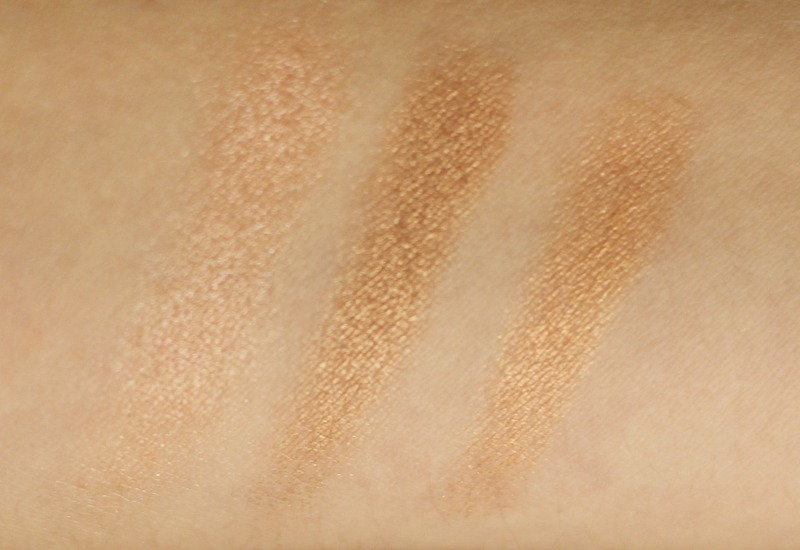 Similarly, the Eye of Horus shadows are very long lasting and blend effortlessly. As you will see in my Get Ready With Me video below, I created a daytime look using all three metallic shades. I used Enigma Myst all over my eyelids, Chalice Bronze on my outer V and Sacred Husk as a crease shade. I love how the look turned out - I hope you do too! Subscribe to my YouTube channel for more beauty videos! What makeup brand have you discovered recently and can't get enough of? Natalie, you are so cute! I love your blog and channel. Love this look on you, I've been loving the Clinique cheek pops and the ginger looks great on you.